and so on. All of these programs are in my start up folder. Symantec identified the issue as a trojan horse, calling attention to a file byxxv.exe in my system32 folder, said it deleted it but never ended up actually fixing the problem. 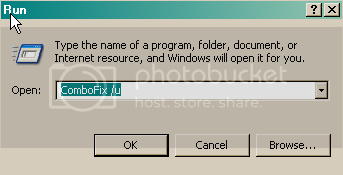 I don't know if the file was deleted, but I still get an error that this file cannot be found on startup. I also did the Panda antivirus scan which also identified the .exe file as a problem, it said it was making it so that the file is inaccessible, but is not fixing the problem. Also, I uninstalled Symantec and now just use AVAST antivirus, which hasn't fixed the issue, either. Anyways, here is my HiJack this log, followed by an uninstall list. You mentioned symantec are you still running Norton antivirus if so uninstall it because you should not have 2 antivirus programs running. I do not see it in your add\remove programs so go Here and download the removal tool for your product and then run it. It should remove all of norton remnants. I did indeed remove all antivirus products before installing avast antivirus. Actually, at one point I had Panda and Symantec installed and my whole computer froze up and was unusable unless in safe mode. Fortunately, I was able to uninstall one program in safe mode and work from there. I believe the problem has been fixed. When I rebooted none of the programs needed to be reinstalled! heh, I guess it is worse than I thought!